For almost four billion years, microbes had the primordial oceans all to themselves. The stewards of Earth, these organisms transformed the chemistry of our planet to make it habitable for plants, animals, and us. 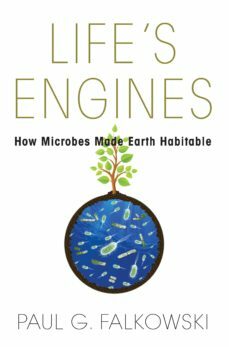 Lifes Engines takes readers deep into the microscopic world to explore how these marvelous creatures made life on Earth possible—and how human life today would cease to exist without them.Paul Falkowski looks "under the hood" of microbes to find the engines of life, the actual working parts that do the biochemical heavy lifting for every living organism on Earth. With insight and humor, he explains how these miniature engines are built—and how they have been appropriated by and assembled like Lego sets within every creature that walks, swims, or flies. Falkowski shows how evolution works to maintain this core machinery of life, and how we and other animals are veritable conglomerations of microbes.A vibrantly entertaining book about the microbes that support our very existence, Life’s Engines will inspire wonder about these elegantly complex nanomachines that have driven life since its origin. It also issues a timely warning about the dangers of tinkering with that machinery to make it more "efficient" at meeting the ever-growing demands of humans in the coming century.